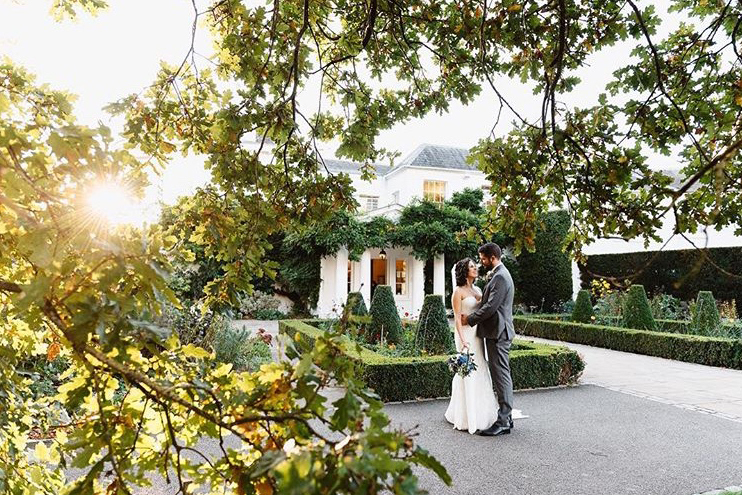 Set in 11 acres of beautifully landscaped grounds, Pembroke Lodge is a magnificent listed Georgian Mansion that has been lovingly restored to provide first class facilities for weddings. The location of the Lodge is unique. It is in the heart of Richmond Park, a Royal Park of 2,300 acres of classic English Parkland that is home to some 650 deer who roam freely in this tranquil setting. 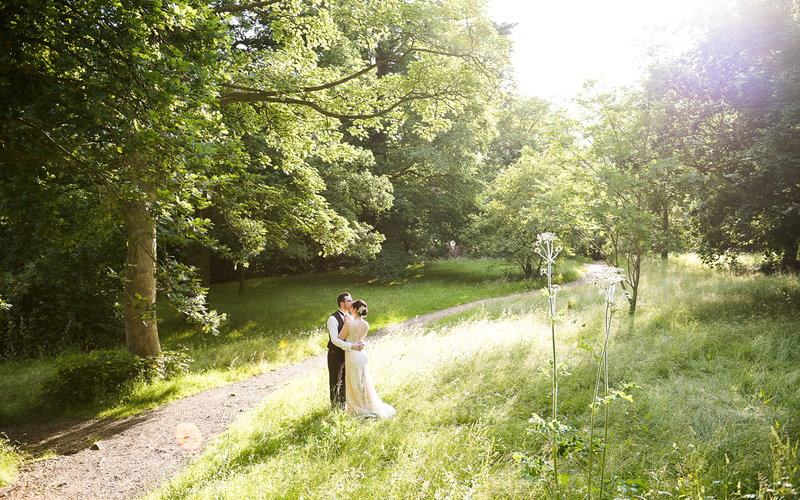 Pembroke Lodge is a traditionally elegant affair and is the perfect wedding venue for the Classic couple. 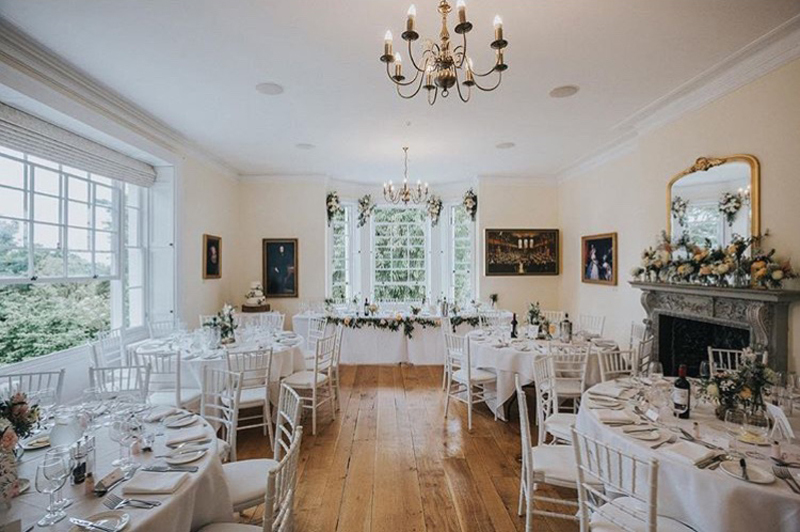 With the Russell Suite or the Belvedere to choose from you will be surrounded by beautiful original features, wooden floors and a blank canvas to create your own wedding style. The Russell suite is situated on the first floor of the Georgian wing, combining elegance with privacy and spectacular views! 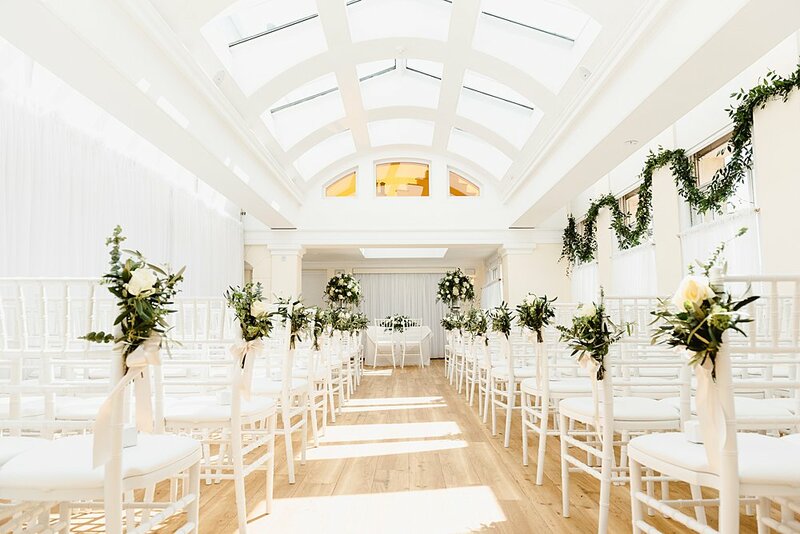 The large period windows provide an abundance of natural light and warmth to the romantic charm of this venue. 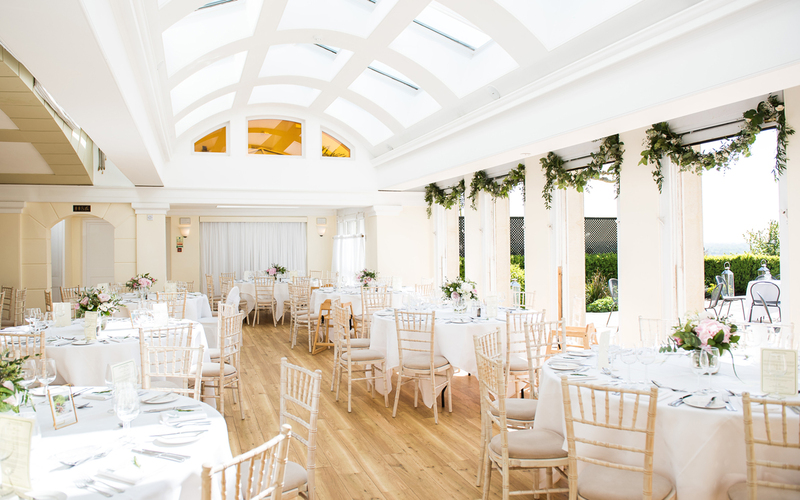 The light and airy Belvedere leads onto a beautiful terrace where you and your guests can enjoy cocktails overlooking Richmond Park. 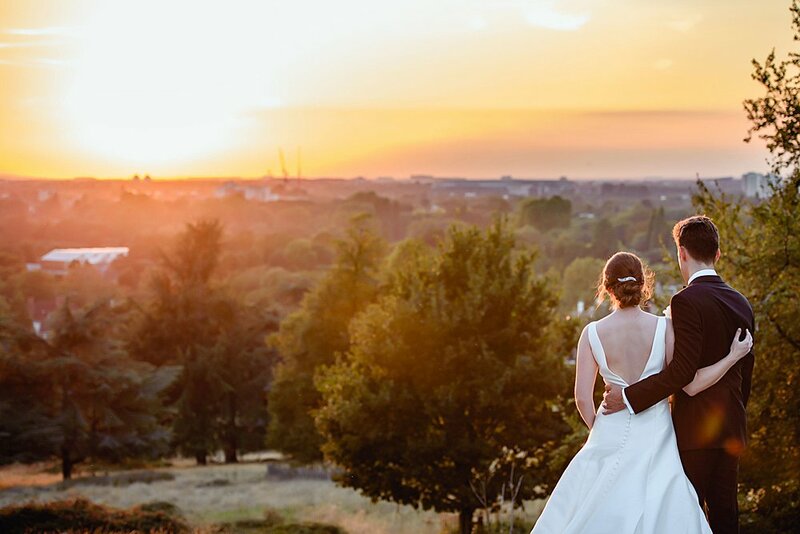 You can also hold an outdoor ceremony is this beautiful spot on the Belvedere terrace, available in conjunction with hire of The Belvedere. 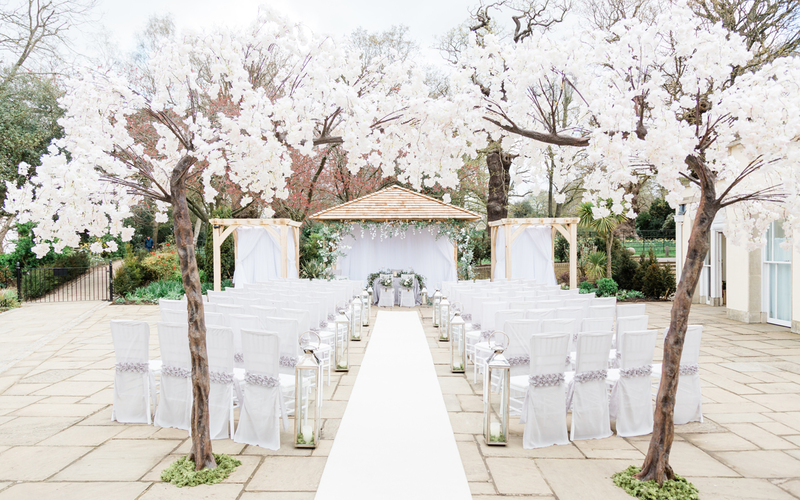 Pembroke Lodge have been hosting wedding celebrations for over 50 years and have a very experienced and dedicated weddings team who will assist you from your first enquiry until the departure of the last guest. The wonderful folks at Pembroke Lodge have created a delicious Winter Wedding Breakfast menu for just £69.00 per person including room hire. You can choose from a hearty selection of starters, mains and desserts including; Butternut Squash Risotto, Chicken Liver Parfait, Slow Roasted Lamb Shank and Sticky Toffee Pudding with Warm Butterscotch Sauce & Clotted Cream! A selection of drinks are also included; from the reception through to toasting and dining! 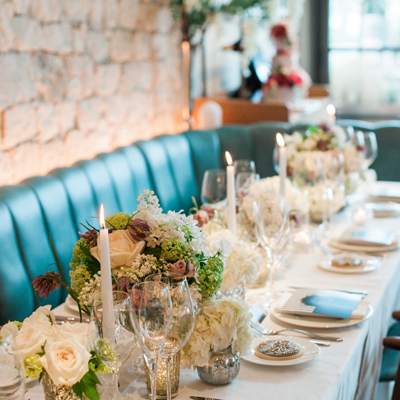 For further information and to see full details of the Winter Wedding Package, please contact the venue at info@pl.org.uk or call 020 8940 8207.